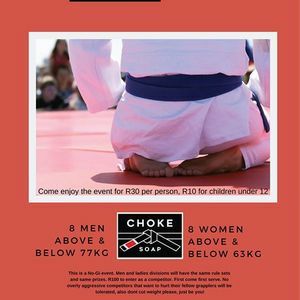 The first ever Choke soap Jiu Jitsu event! Battling it out to become the Choke soap champion for their weight category! 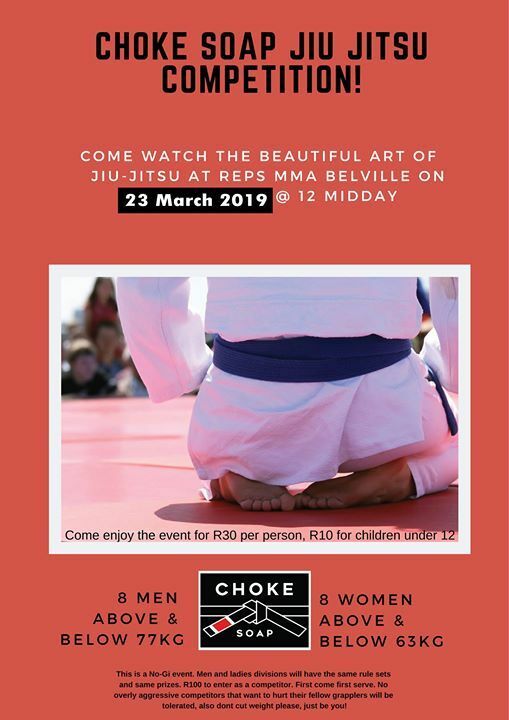 Come join us for an afternoon of great Jiu JItsu, there will be snacks, treats and choke soap available for all. R30 per person to watch, Kids under 12 @R10 each. We will be posting the current competitors weekly so you can see who will be entering, so far it looks like its going to be a cracker!